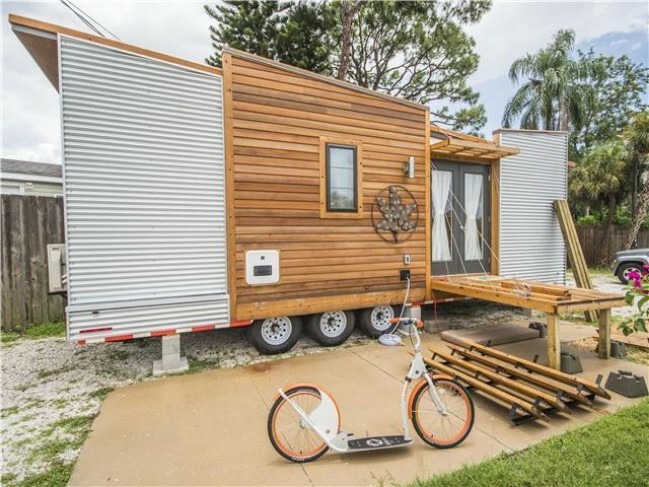 Tiny House Siesta is a cool resort located in Sarasota, FL, where you can spend the night in a tiny house. 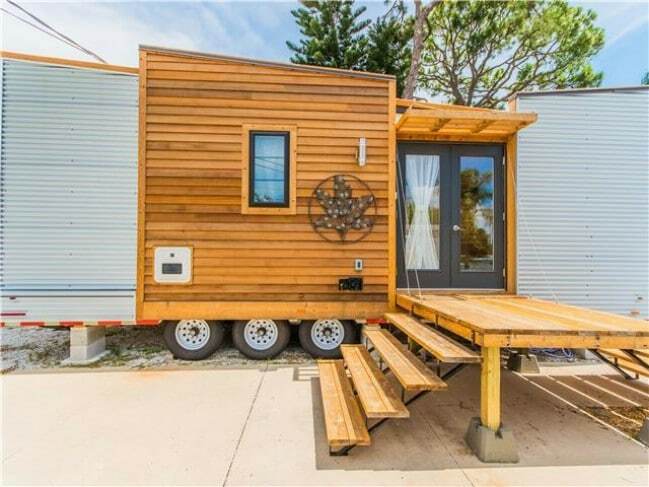 Previously, we have featured a couple other tiny houses at the resort, including the Sand Dollar and the Blue Oasis. 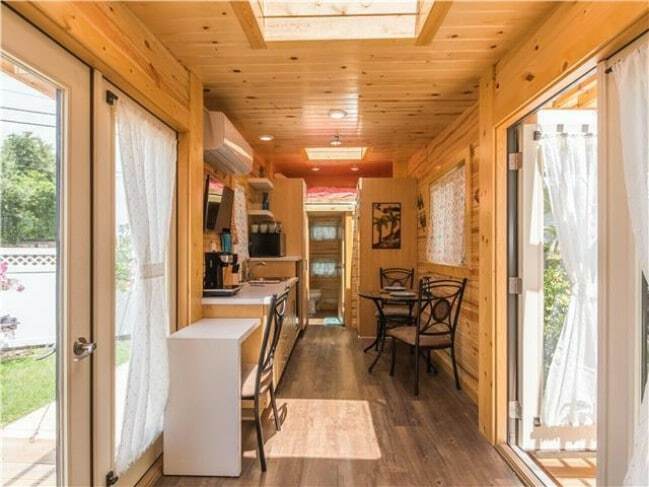 Today I want to share another tiny house located at the resort with you which is arguably even more beautiful than those which came before, called the Dragonfly. 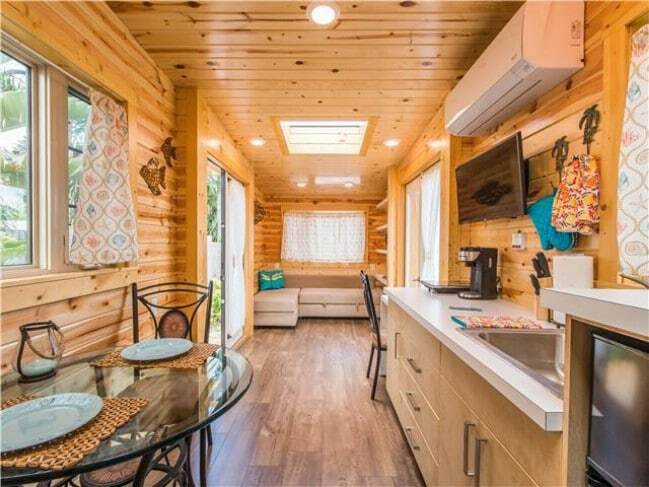 The distinctive exterior of this house makes it stand out instantly, not just among tiny houses in general, but also among the houses at the resort. The contrast of textures and colors as well as the angles of the surfaces immediately draw the eye to the front door. The Dragonfly measures 220 square feet. Large glass doors and skylights carry light throughout the interior. 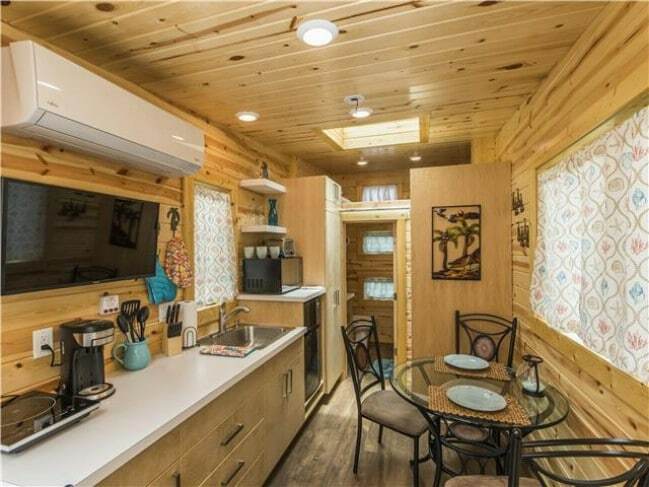 The kitchenette has a mini fridge, sink, and basic appliances such as a stove, toaster, and coffee maker so that you can prepare your own food and beverages during your stay. 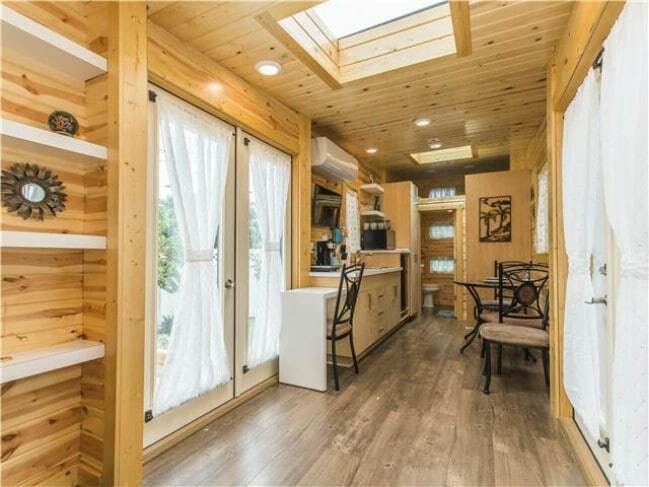 The cabinets in the tiny house were custom-designed. You can see the layout of the house even better looking back the other direction. This angle also really shows off the way that light moves through the house from one side to the other. Here’s another exterior shot which again showcases the unusual angles of the house and the way that they slope toward the door from either side. It’s just a warm bath of light. 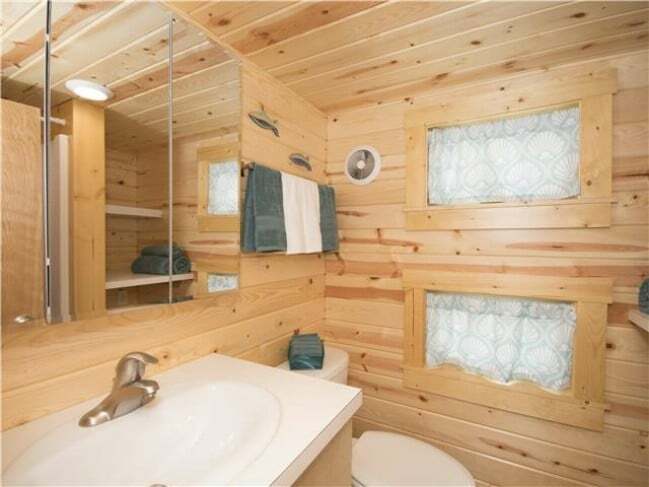 While the bathroom is small, it is aesthetically pleasing thanks to all the wood as well as the soft colors chosen for the towels. Whimsical furnishings on a small patio provide a place to relax and enjoy the sunny Florida weather. Here you can see the IKEA couch which can be converted into a bed. This photo gives you a better look at the ladder which leads to the loft. 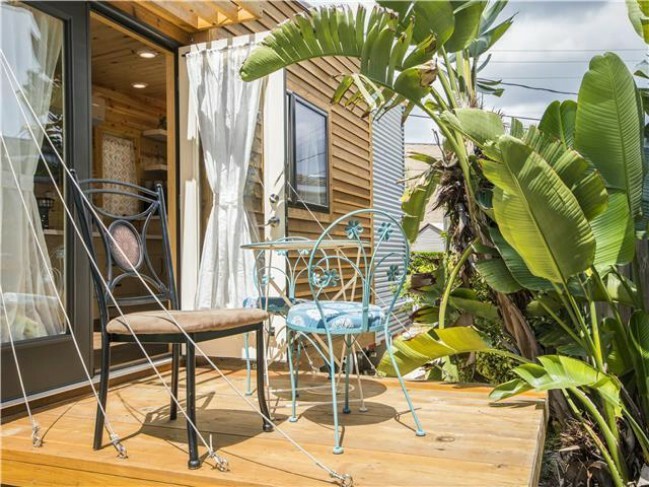 While you will probably be tempted to just hang out in this cool tiny house during your stay, you’ll definitely want to head to the beach at some point. 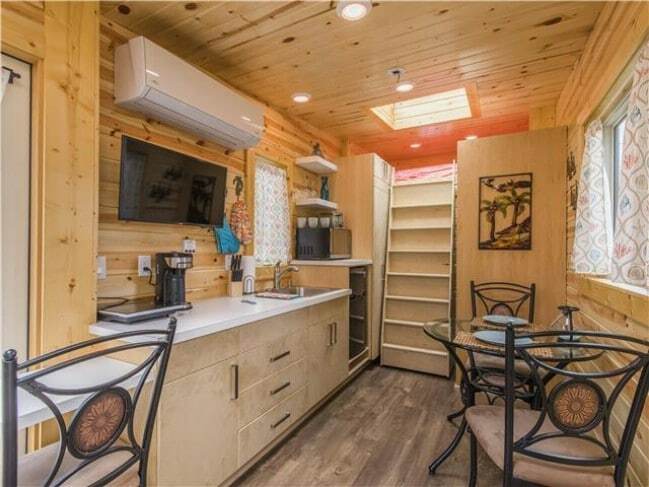 It only cost $115 a night to stay in the Dragonfly. 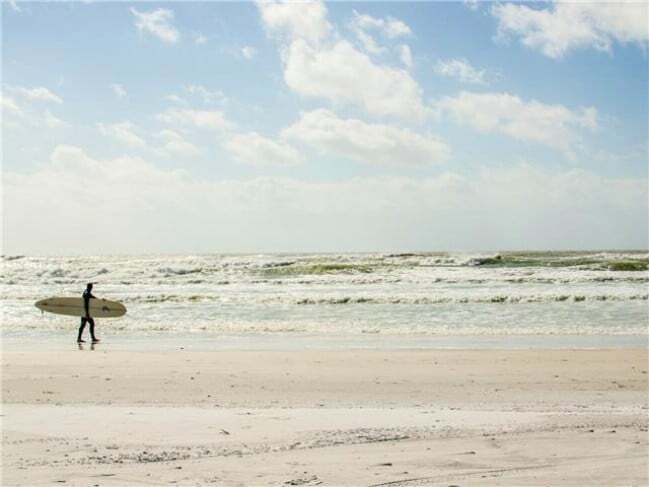 That is a pretty good deal for such amazing accommodations in such a great location. 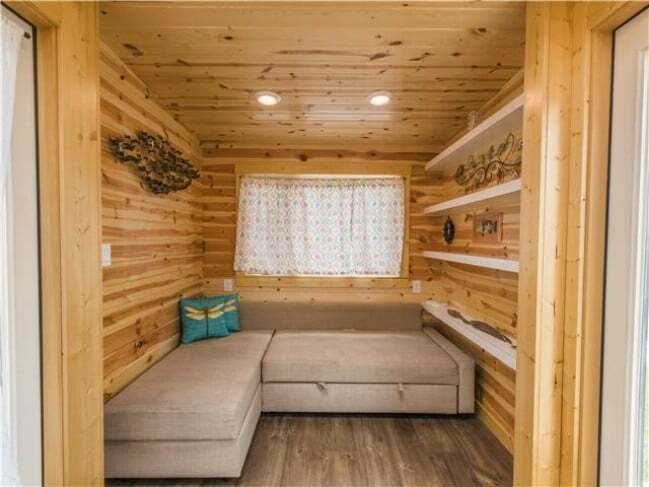 If you would like to know more or book a stay, then visit Tiny House Siesta.